Career Partners International's Plumlee & Associates has recently hired Michele Knight to lead business development efforts for Plumlee & Associates’ Nashville and Franklin locations, which serves the Middle Tennessee region. Michele Knight named Director of Business Development for Plumlee & Associates. Michele brings a wealth of knowledge in executive coaching and business development; she will drive the expansion of CPI’s talent management foot print in the Middle Tennessee region. Plumlee & Associates has hired Michele Knight to lead business development efforts for Plumlee & Associates’ Nashville and Franklin locations, which serves the Middle Tennessee market. Michele has over 12 years’ experience in executive coaching, speaking and consulting. She has worked with companies from start-up to the Fortune 50. Michele brings a wealth of knowledge in executive coaching and business development and will drive the expansion of CPI’s talent management foot print in Middle Tennessee. 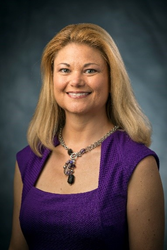 Having coached over 400 individual clients, Michele has helped leaders to better guide their organization, improve team engagement, increase the effectiveness of business processes, align processes and programs with strategic objectives, and ultimately increased team performance and faster goal attainment. She has trained leaders in how to “coach” within a changing culture by using coaching skills, training activities and mentoring sessions. Michele holds a Bachelor’s degree from the University of Northern Iowa and is certified in both executive and life coaching from the Institute for Professional Excellence in Coaching. She received her designation as a Professional Certified Coach (PCC) from the International Coach Federation and as a SHRM-Senior Certified Professional (SHRM-SCP). Michele is also certified in a variety of individual and team assessments and training programs. Plumlee & Associates is a boutique Executive Services firm, serving clients in Tennessee and across the United States in financial services, professional services, healthcare and operations. Since 2012, Plumlee & Associates has partnered with organizations and individuals alike to improve their bottom line and maximize their professional potential. Across its four practice area: Executive Coaching, Career Transition, Leadership Consulting and Executive Search, Plumlee & Associates is known for developing flexible and unique talent solutions. The firm offers a full suite of full range of talent acquisition and management services; it is pending certification as a Veteran Owned Small Business (VOSB). Founded in 1987, Career Partners International is one of the largest talent management consultancies in the world. From more than 270 offices in over 45 countries, the skilled consultants of Career Partners International provide talent management, executive coaching, career management, and career transition services to clients worldwide.